Today I had a conversation with my mother about her recent meditation workshop. We discussed how when the mind and body are balanced it creates order. When the mind and spirit are balanced, it creates wisdom. When the spirit and body are.balanced, it creates joy. 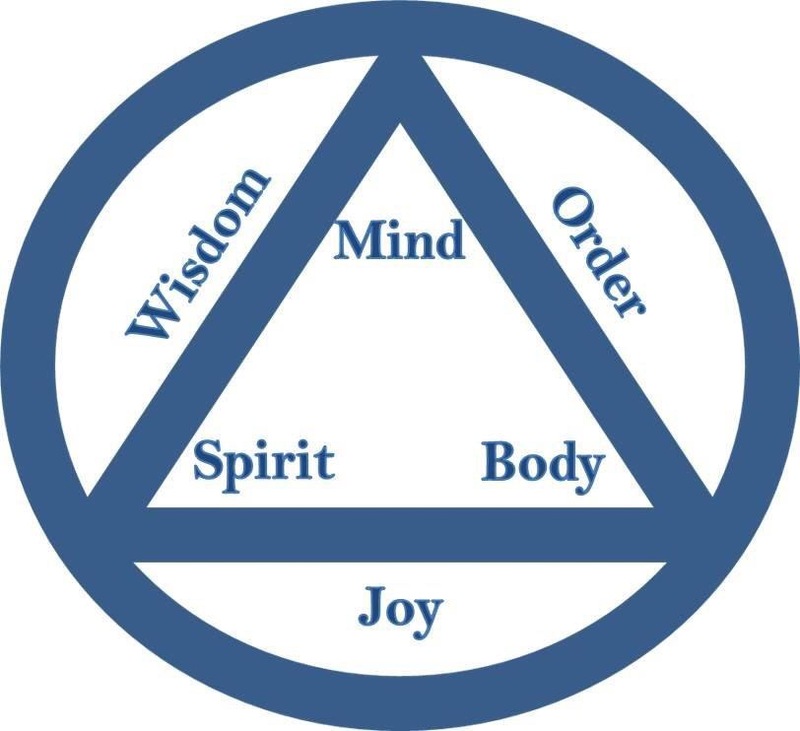 When all 3 are balanced and in harmony with each other, it leads to equanimity and peace of mind. It occurred to me that this is what we try to do when we are emotionally sober and working a program of recovery and living in steps 10, 11 and 12. I liked what she said so much that I made this picture to encapsulate the concepts involved. I hope everyone will find this helpful.